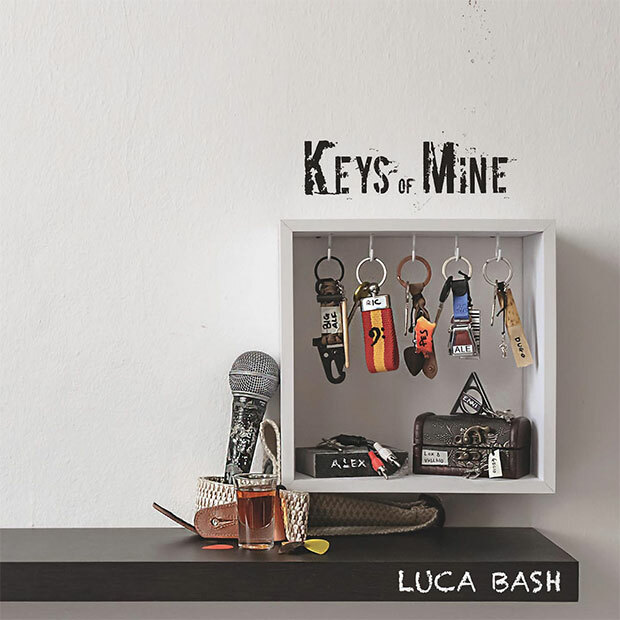 We’ve been waiting since 2015 to hear new music from Italian artist Luca Bash and we finally have it with Keys Of Mine, his first work of original material since his four, CMYK acoustic EPs. Keys Of Mine is dedicated to Luca’s friends that inspired his art and upon listening, his friends have really had a good influence on him. More on the folk music side of things, Bash also adds a bit of pop, American blues and jazz with Italian musical sensibilities. You’ll also get some rock but again, it’s his friends who inspired this very well produced and very musical album. These fifteen tracks are held together by the heavy jazz in most of these songs but tracks like “Your Tomorrow” will remind you of Bash’s folk roots. The blues are present in “Beyond the Screen” and every other track in between will just leave you in awe over this collection of sweet Italian music. It comes recommended to be listened to.